“Illinois already leads the nation in population loss due to a poor business climate that stifles economic growth. Increasing the minimum wage will lead to fewer jobs and higher taxes for our residents. While many businesses will relocate across state lines, the negative impact in Central Illinois will be more severe. The new minimum wage will increase the State pension burden and will force social service providers to close their doors. Businesses of all sizes will recalibrate their employment strategies and young adults will miss out on opportunities to enter the workforce. 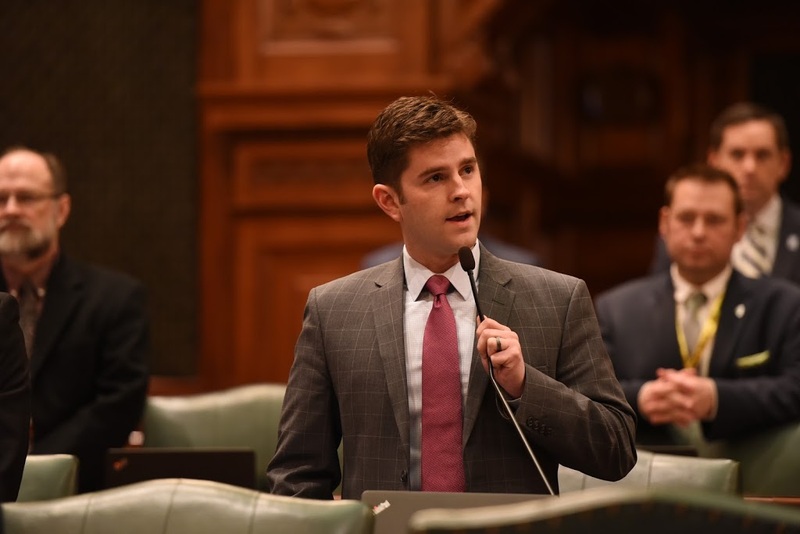 I voted No and believe this action cements the position of Illinois as the most uncompetitive state in the Midwest,” said Rep. Spain. The House of Representatives of the new 101st General Assembly is comprised of 74 Democrats and 44 Republicans. Senate Bill 1 passed the Illinois House on a vote of 69-47.